We don’t always notice or put in the effort to study the history and evolution of certain dishes and memorable chefs who have laid out the foundation of cooking as we know it today. One such chef is Antonin Carmen, who is recognized for his extravagant work process and presentation. In this blog, I would like to share with you a famous dish of his. Antonin Carem was a person of good taste with an interest for many things, architecture in particular. 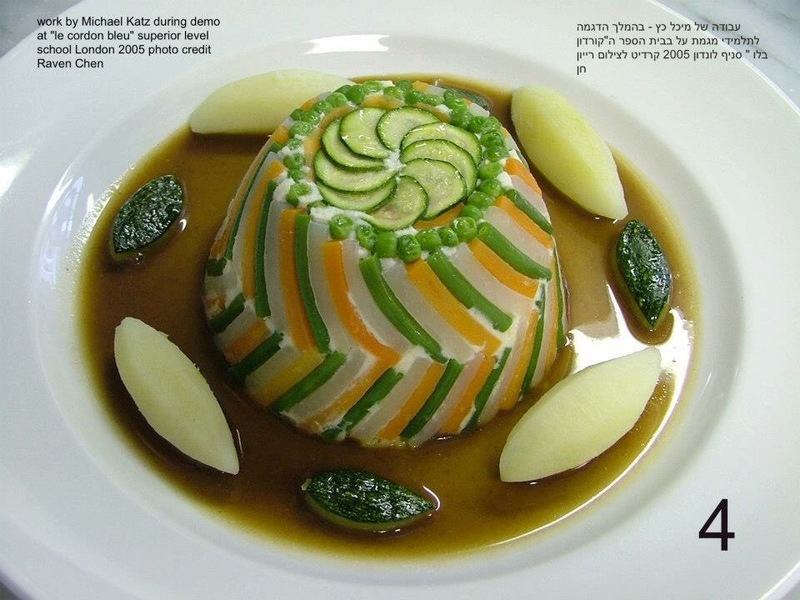 This highly influenced a lot of his work from how he would design his dish layout to the design of the table setting. 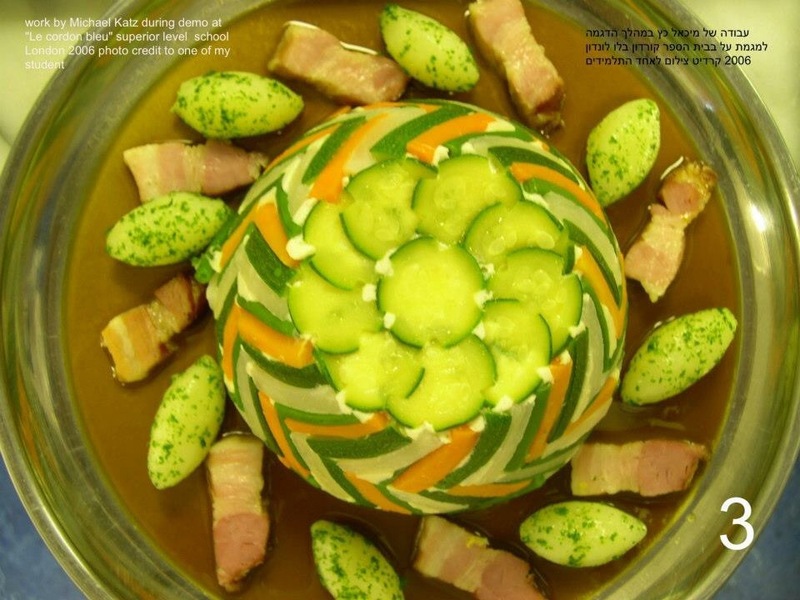 A good example of the architectural influence on this is one of his signature dishes – “Chartreuse”. 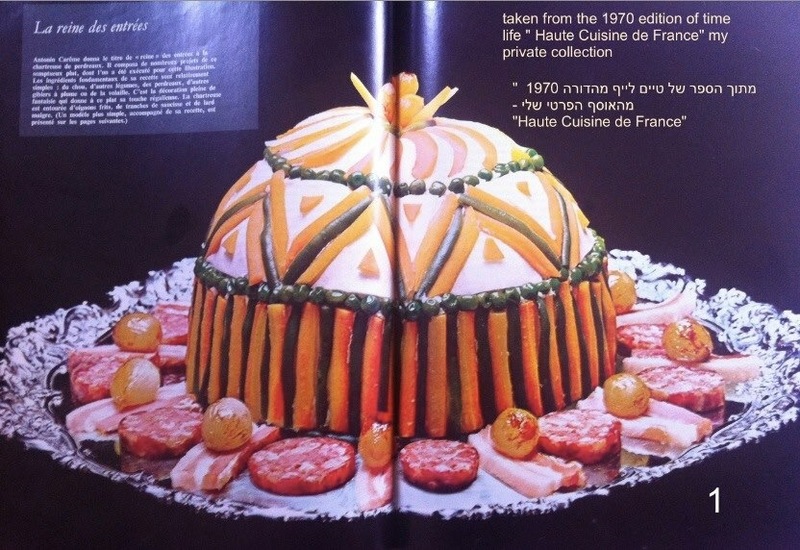 When you look at the photos of the dish below (either the one from his lifetime book that was taken in 1970 or the one of the dish I personally prepared) you can see that the outer envelope of the dish is constructed like a wall or a great wood floor, etc. Carem’s influence and way of life may be seen in many chefs of our era whose dishes are oftentimes also inspired by certain objects or by nature. The main idea is a dish made with a vegetable envelope that holds different textures inside it. The fillings of the dish in all the photos below have an almost identical flavor and the difference lies in the envelope. Made with blanched vegetables of choice which are “glued” and held in place by a chicken mousseline – a classic patte made of chicken meat, creamed egg whites, salt, and caayan pepper. Classically braised cabbage with bacon, sausages and back fat. Roasted pigeon meat. Once the dish is constructed it goes into the oven in a “bain mary”, mainly to cook the chicken mousseline that holds the vegetable envelope. The dish is served either cold or hot at the center of the table. 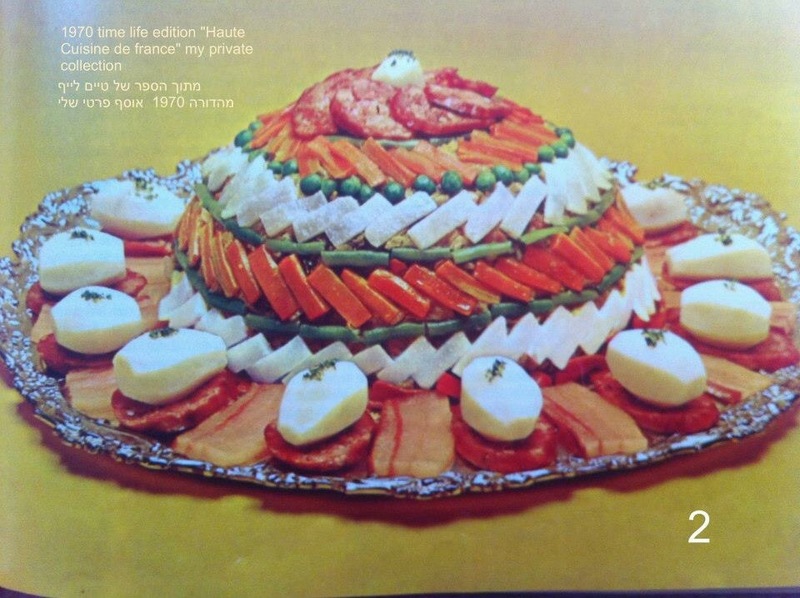 Photos 1 and 2 are from the “Haute cuisine de France ” time life series 1970 edition. Photos 3 and 4 are dishes I have prepared during demos at the LCB in London in front of students, one of which took the photos and gave them to me. 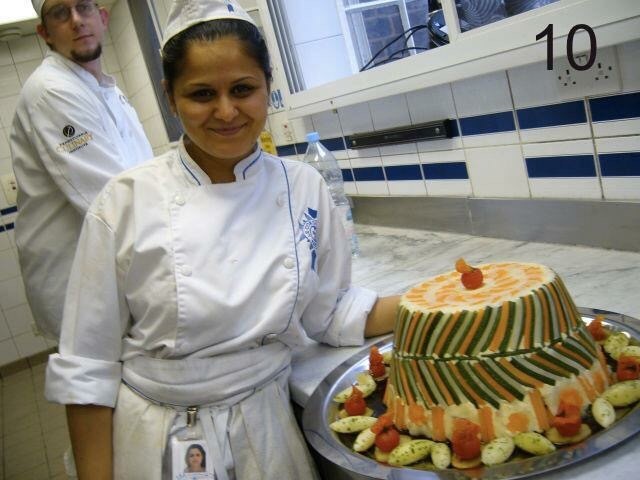 Photos 5 to 12 were taken during the superior level practice in which each student had to prepare their own dish but we decided to make it a teamwork challenge and prepare a large dish. When you think of 8 people working for 3 hours – 24 man hours, it really gives you perspective on how many people have worked with Anonin Carem to make his amazing banquette. 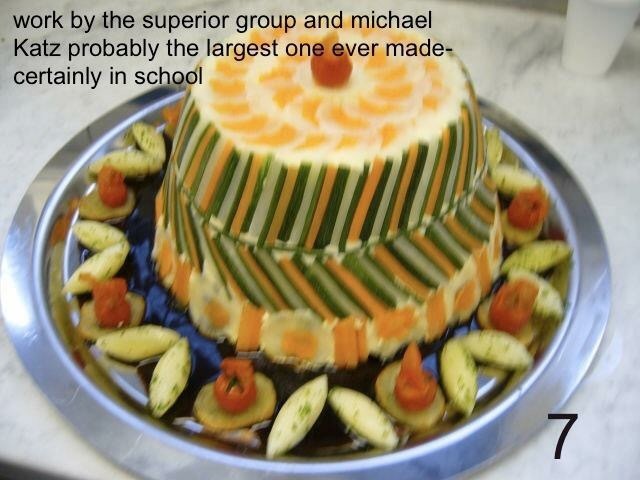 This entry was posted in celebrity chefs, chef, chicken, cooking, cooking school, cooking training, dish plating, kitchen history, kitchen techniques, learning to cook, Uncategorized and tagged chef, chef training, chefmichaelkatz, chefs, cooking, cooking experience, cooking techniques, cooking tips, cooking training, kitchen techniques, kitchen training, tips for young chefs, youngchef. Bookmark the permalink.